In fact, sometimes the simplest and most straightforward ideas turn out to be the hardest to implement. 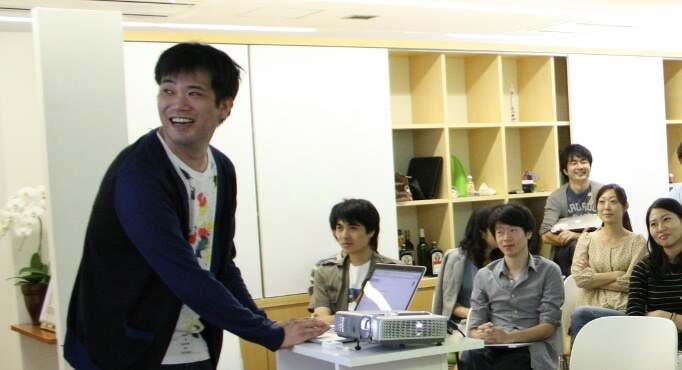 Today I’d like you to meet Kyohi Kang the founder and CEO of Atmoph. Atmoph is a programmable window which can display the sights and sounds of hundreds of scenic places from all over the world. It’s an exciting project, and the team attracted a great deal of early interest. They even ran one of the most successful Kickstarter campaigns and a smaller, but still successful, Japanese campaign on Makuake. But this success almost bankrupted them. Kyohi and I discuss how this happened and how other startups can avoid falling into the same trap. We also discuss Kyoto and the fledgeling startup ecosystem that is just starting to spread its wings there. And we’ll dive into detail about why, unlike most other startups, Atmoph has decided to remain a hardware startup rather than pivoting to software and licensing when presented with that option. What are digital windows and who wants to use them? What happens when the Kickstarter money runs out? Why you have to choose to be a hardware company or a software company. The dangers of trying to do both. Check out Atmoph – You won’t really get it until you see it. 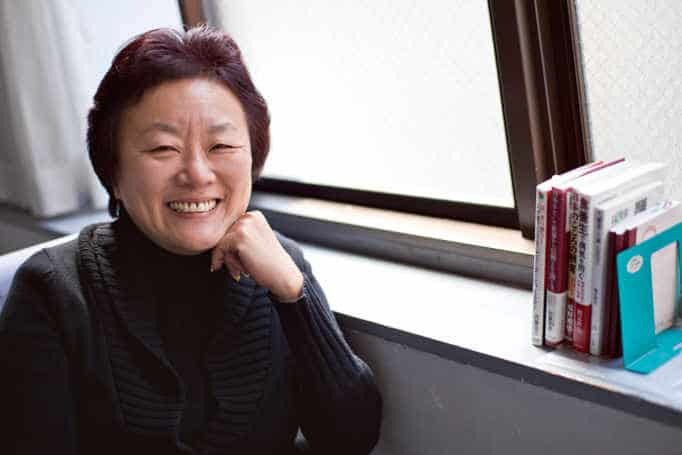 You know, I was moderating a discussion panel at the big Hakusuka event last month and before things kicked off, I sat down at a café with Kyohi Kang, the found of Atmoph. Now, Atmoph is one of those ideas that is so obvious once you see it that you’re sure that someone has thought of it before. In fact, you’re pretty sure that you’ve thought of it before. We did, right? And yet, Atmoph seems to be the only company in the world that is producing this product. What is it? Well, I’m getting to that. You’ll hear a lot of the details during the interview and it’s always challenging to describe something so intensely visual on an audio podcast, but Atmoph is literally a window onto the world. It’s a 27-inch diameter monitor that’s mounted in a picture frame and it displays the sights and sounds of, well, anywhere, really: a window onto a Polynesian beach, a Roman Piazza – anywhere. Kyohi and I also talk about how Atmoph’s very successful Kickstarter campaign almost bankrupted his company and since the team has run crowdfunding campaigns in both the US and Japan, we’ll go over some of the most important differences between the platforms in both countries, and more importantly, the important differences about the customers and the customer expectations in both countries, and even though we met in Osaka, we talk a lot about Kyoto. Kyoto has the potential to become one of the most important startup communities in Japan. It’s not quite there yet but there’s a lot of promising signs and a lot of promising startups, for that matter. But you know, Kyohi tells that story much better than I can. So let’s get right to the interview. Tim: So I’m sitting here with Kyohi Kang of Atmoph and it’s kind of a digital window, so thanks for sitting down with me. Kyohi: Thank you for inviting for this interview. Tim: I think you guys have got a really, really interesting product but you can probably explain it a lot better than just a digital window, so tell us a little bit about what Atmoph is. 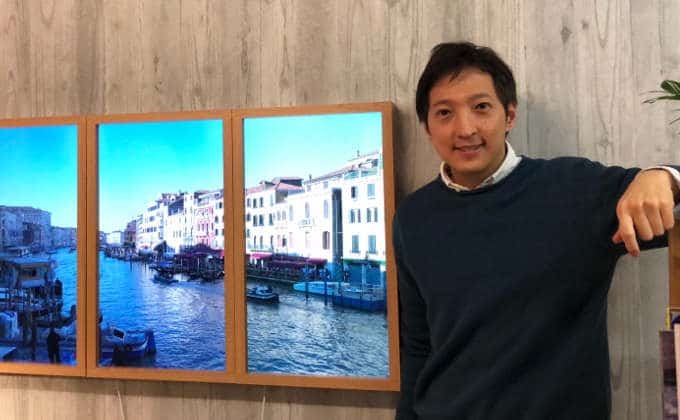 Kyohi: We are calling “digital window” but the concept is very simple and you can hang on your wall, and it’s a 27-inch display and once you hang it on your wall, you can see a view of the world, and every content is filmed by us in 4K and you can see such as views in Iceland, France, Germany, and also Hawaii, Japan, anywhere in the world. Tim: And it also has sound as well, right? Kyohi: Right. It has one speaker inside so that you can feel as if you are actually there like Hawaiian beaches, sound of the waves, sound of the birds. Tim: Now, I’ve noticed that – I mean, looking around the world, there are lots of kind of digital picture frames for still images, but Atmoph seems to be one of the very, very few companies that has brought a video window type of a concept to market. Why do you think that is? Kyohi: There are many digital art frame companies out there but we wanted to have a window, like a virtual window. In nature, everything is moving, like wind and also the fires and birds flying, so to feel as if it’s real, we thought it should be moving. Tim: So the idea is kind of the window out into the world, so if I had Atmoph installed and it was looking out into a Hawaiian beach, would I see like, the scene changing at different times of the day? Kyohi: Yes, yes, indeed. There are many locations and also many seasons, and many different times, so you can see in the morning or sunset, or nighttime. Tim: So tell me about your customers. Who is using Atmoph? Kyohi: From last year, we started shipping and about half of our customers is purchasing our window because there is some kind of closeness in their environment, like from their window, they can only see the next buildings or highways. Tim: So most of your customers, I mean, is it consumers or is it office space? Kyohi: 70% is consumer. The rest is restaurants, bars, and clinics, offices. Tim: Well, I could see why this would be very attractive to restaurants in particular, especially in Japan. There’s so many basement Italian restaurants that you could have a window out on Florence or something. Kyohi: Actually, there are many, really many places, café or bar without any window, so yeah, they should be all our targets. Tim: That seems to be almost a perfect target for you. So let’s back up a bit. So this started out, well, it started out as an idea, but back in 2015, you launched a very successful Kickstarter campaign. Tim: How did that go? Running a Kickstarter campaign from Japan has got to be somewhat challenging. Kyohi: It was all about challenging because at that time, doing Kickstarter in Japan was very rare, so it was hard to do, and for us, that was our first crowdfunding project, so everything was very tough. The reason we needed to do crowdfunding was we didn’t have enough money to do the manufacturing production. Also, many people are asking, nobody would want a digital window, everybody said. So I needed to prove at least some customers should buy. Tim: And how much did you raise on Kickstarter? Tim: Okay, so that’s a substantial raise, more than enough to get the product through the first batch of production. Kyohi: Yes, we thought, but we needed more money because making injection molding, it costs a lot, and also, to do a project for crowdfunding, we need to reduce the price because it’s a kind of presale. Tim: Well, you mentioned that it wasn’t quite enough money but you did deliver the products, so how did you do that? Kyohi: Yes, Kickstarter campaign was good and also, after that, we did another crowdfunding in Japan too. Tim: That’s right, you ran a Makuake. Kyohi: A Makuake. Yes, we did that too but it seemed okay, but to make enough products, we needed to collect more and we asked for some governmental bank for startups’ loan, and also, one year later, we did first round of VC funding, US$1 million, approximately. Tim: Oh, wow. So you needed that funding in order to fulfill the Kickstarter promises.l? Tim: What turned out to be a difficult part? What did you underestimate? Kyohi: We underestimated too many things. First, it was our first time doing production, so we needed to find good manufacturers but it was very hard, so each time we visit and find, they said, “We can’t do this, we can’t do this in small batch,” or something. Tim: So did you do your manufacturing in Japan or in China? Kyohi: Yes, actually, but we have about five manufacturers coordinating each other. So assembling is in Nara, next to Kyoto, and the board production is in Osaka, and some plastic parts and cable are near Shanghai, so all products gathered in Nara and assemble. Tim: Almost all of the hardware products on not just Kickstarter but the hardware startups tend to outsource to China. Tim: Why did you decide to have your manufacturing in Japan even though you knew the costs were going to be much higher? Kyohi: Yes, because actually, it sounds we are better, because we didn’t have enough money. To do manufacturing in China, we needed to travel often to do the negotiation or see actual product going on, but we didn’t have money. We needed to save our money, so we were based in Kyoto, so there are many manufacturers in Kansai area because in the past, Panasonic manufacturing, there are many bunch of them, so we thought it’s easier and also cheaper, and better quality to do in Kansai area but cost get a little bit expensive than we thought. Tim: What surprised you? What drove the costs up? Was it just having to do multiple prototypes or why did it cost so much more than you thought? Kyohi: Yes, that’s because we underestimated small things, like we checked our costs of LCD panel and also the computer boards, but we did all the assumption, but minor things like tiny plugs or tiny connectors, and tiny cables, and manhandling, and all the costs sums up. Tim: I mean, when you’re talking about tiny plugs, do you mean the actual hardware or do you mean like, the design parts? Because the plugs are a couple of cents each, right? Kyohi: Actually, it’s more expensive. Tim: Oh, okay, maybe that’s what got through the trouble. Kyohi: Yeah, right, right. Each connector is sometimes one US dollar, so it sums up to US$10 easily. Kyohi: And we needed some storage and also Wi-Fi adapter. At the time, those prices were going up, so it depends on world consumption rate also. Tim: If you had the chance to do it again, if you could go back to when you were just starting your Kickstarter campaign, what would you do differently? Tim: So you mean just have as few parts as possible or..? Kyohi: No, we can always make it in a simpler forms. Boards or plastic parts or anyhing, like boxes too, but before fixing the budget, we need to make it simple as possible, but at that time, we didn’t know we should do that or we didn’t have enough knowledge how we could achieve that, so there are many abundant process or parts and design. It was not simple enough. Tim: Can you give me an example of that? Kyohi: Suppose we are making next model, we would make a single board composed of CPU and sensor, and power, and speaker amps, anything, but right now, we are making three or four boards and each costs around in sum. Tim: That makes sense. Actually, going back to the crowdfunding, you ran a Kickstarter campaign in the US and you run a Makuake campaign here in Japan. How is crowdfunding in the US different from Japan? Kyohi: Kind of big difference because crowdfunding started in the US, in Kickstarter. Kickstarter is more for arts and science. In Japan, crowdfunding is for almost everything, but Kickstarter prohibits to very specific field, and also, for Kickstarter, the users are very accustomed to what is crowdfunding. It’s not a store. So our supporters patiently waited for a long time, like we delayed almost about a year or so, but they patiently waited. In Japan, for Makuake, our customers waited a long time too but there were some people get angry. Tim: About why the delay? Kyohi: Delay and why the specification has changed but less happened and Kickstarter because the customer in Kickstarter, they understood more what is crowdfunding. Tim: What about after you shipped, I mean, Japanese consumers are famous around the world for being very, very demanding of quality. Kyohi: That’s right, that’s correct, and because it was our first production, we made many mistakes, and right now, everything okay but Japanese customers are very – they can tell tiny difference, but that helps us a lot to improve our product quality. Right now, we don’t have much claims but about a half year ago, we had many but that helped us a lot. Tim: Crowdfunding is still, I wouldn’t say it’s rare in Japan, but it’s not nearly as popular in Japan as it is in America, and actually, a lot of Japanese startups will use Kickstarter or Indiegogo instead of Japanese. Do you think the attitude is changing or do you think that Japanese consumers are just still very demanding of crowdfunding projects? Kyohi: I think it’s very, very changing in a fast pace. From recent years, I can tell it’s changing a lot because there are many projects mostly in Makuake and also other platforms too and people get accustomed, especially in technology field, so it has changed, I should say. Tim: You are based in Kyoto and Kyoto has a lot of hardware startups. Among the startups that choose crowdfunding today, are most of them using US crowdfunding or are they using Japanese crowdfunding? Kyohi: I think half and half or maybe two thirds are choosing, or more, Japanese crowdfunding. Tim: Ah, okay, so that has really changed in the last few years. Kyohi: Yes, I think so, indeed. Tim: That’s excellent. A lot of founders and a lot of projects get a lot of momentum and a lot of sales through Kickstarter, through crowdfunding, but then they have trouble kind of keeping that momentum after the project is over. Did you have trouble keeping that momentum going? Kyohi: No, I couldn’t successfully do that because first, after doing crowdfunding, we needed to 100 focus on manufacturing, so we did that for about a year, doing almost no marketing or something. Kyohi: Yes, because it was very hard doing software development and hardware development, manufacturing, and after shipping, we gradually started attending interior exhibition in Paris or US. Tim: So it’s almost like starting again from scratch? Tim: Well, after the Kickstarter and Makuake campaigns ended, what’s been your main source of sales and marketing? Kyohi: Via our website, we were accepting preorders, so that was almost only the channel, but I can feel now, I should have done more aggressively on presales or make interesting sales channels. Kyohi: Now, I admit. At the time, I thought putting our product on our website and that’s it, but it doesn’t go that way in the world. Tim: Yeah. Now, your initial push for sales was Kickstarter and you mentioned attending design exhibits in Europe. Are most of your sales in Japan or are they international? Kyohi: About 70 or 80% was from Japan. Because we were based in Kyoto in Japan, sometimes, there were interviews and we were featured in articles and newspapers, and sometimes, on TV, so that helped in Japan. Tim: And are you in full production now? Tim: Okay. So what’s the future plans? Are you planning on scaling into mass production or are you planning on having this as a kind of a small lot boutique product? Kyohi: We don’t want to be a tiny maker in the end. I’m a huge sci-fi movie fan and every time I see movies, there is always a virtual window. The goal is to become interface of outside and inside world, like not only showing views, but you can actually interact with the world. Tim: You also have a marketplace where users can download hundreds, maybe even over a thousand different views right now. Tim: 500 views? So before, you were talking about making it a genuine marketplace where users can upload their views and sell them online at the store, are you guys moving forward with that plan as well? Kyohi: Yes, yes. Right now, all the contents are filmed by us, but in coming months, our customers will be able to upload their own contents, and after that, they are going to be able to sell, and after that, we can be like OS of the window. Tim: Yeah, I mean, it’s sort of the iTunes model, right? Tim: The next logical question then is do you see your future as being a hardware company or a software company? It’s really hard to scale up hardware, so do you see the future as maybe like partnering with Panasonic and Samsung and letting them do the hardware? Kyohi: It could be possible but we are seeing a mix, like Apple. Software side is very important for us but we need to have some special sensors or camera, or microphone, or heat sensors, CO2 sensor, whatever, so that people can feel more and more real about view or experiencing as if they are in Hawaii or Paris. To achieve that, only showing in some display is not enough, so maybe we can make a product that enhances their experience. To do that, we need to make hardware too. Tim: Do you think you will always be a hardware company as the goal just to get one or two more product iterations out there and make sure it’s right, and then do partnerships? Or do you see the hardware as part of who you are? Kyohi: Yes, it’s part of who we are. So we are continuing making as a hardware. Tim: Okay. Let’s talk a little bit about Japan and well, Kyoto, specifically. Kyoto has got a very interesting and fast growing startup community. You’ve been there for a while, so how do you think things have changed in Kyoto over the last five years? Kyohi: Actually, five years ago, I moved from Tokyo to Kyoto, so in these five years, we have seen changes. In these two or three years, we’ve seen many startups coming from Kyoto. So I think it’s gradually changing, but compared to Tokyo, the number, of course, is different but there is a sense of optimism. Kyoto has a long history and all the companies have history of hundreds of years, so startups think in long-term. So I think that’s a good thing and because there are many good universities in Kyoto, so the startups are emerging every year, hopefully, increasingly. Tim: A lot of startup founders from all over Japan moved to Tokyo to start their startups. You moved from Tokyo to Kyoto. Why? Kyohi: The first reason was to work at Nintendo and the office was in Kyoto, but I lovef Kyoto before that. I was always traveling to Kyoto but I never thought I was going to live in Kyoto and start a company. There are many beautiful places and beautiful history, and also nice universities, and also manufacturers, there are many, so there is no reason not starting in Kyoto. Tim: It’s interesting that – I mean, Osaka and Kyoto are very close to each other in terms of distance. 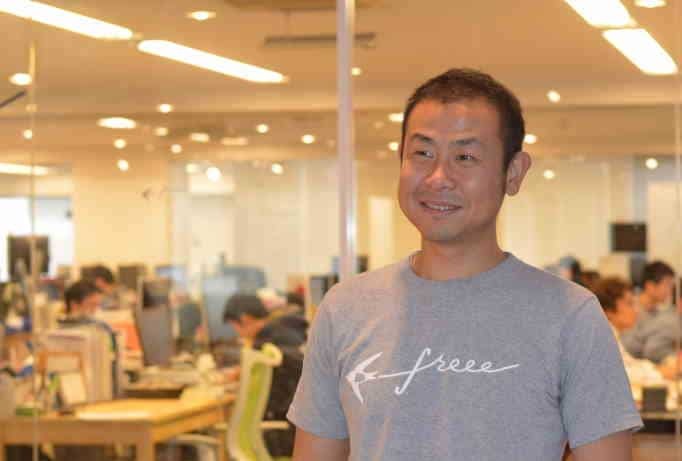 One are the problems that Osaka startup community has had in the last 10 years is that whenever startups begin growing and getting bigger, they tend to move the company to Tokyo and that doesn’t seem to be happening in Kyoto. It seems like Kyoto, the startups are staying there. Kyohi: Yeah, I can feel that too. Tim: Yeah, why do you think that is? What do you think is the difference between the startup community in toto and the start of community here in Osaka? Kyohi: Maybe there’s a nice combination of optimism in Kyoto and thinking in long-termship, maybe only after making a company and surviving in five years or 10 years, but in Kyoto, that’s only a short time-based think, they may think, and also, there are many big companies in Kyoto, like Nintendo, Kyocera, Omeron, many, many companies, and selling their products overseas, and they have strong brands. So I think that culture, technological or company culture is stronger than Osaka. Tim: Yeah, I could see that. Yeah, I mean it is interesting because there’s lots of different cities in Japan where you can say, well, yes, they’ve got all the parts, but I think Fukuoka, I think, is one of the few places in Japan that has a really strong startup community, and I think Kyoto seems to be emerging as a startup community there as well. Kyohi: There are many communities in Kyoto too. In recent years, there are many foreigners like non-Japan born people are coming and gathering in Kyoto and that’s one good thing because there’s many community, like makers boot camp, and they connect with other cities and other countries, people gathering to Kyoto and doing some hardware projects or something like that, and also, Kyoto is number one or two travel city in Japan, so there are many travelers coming too and they stay in Kyoto too sometimes. Tim: It is interesting because Kyoto has a reputation of being very traditional and conservative even by Japanese standards. So it’s very interesting that we’re seeing the start of community being built up there. Kyohi: Yes, the point is right and Kyoto is conservative. That’s absolutely right but at the same time, they are finding new ways. So maybe Kyoto city is also looking for a way to incorporate new things, new innovations or something. Tim: So conservative but practical? Tim: Well, listen, Kyohi, before we wrap up, I want to ask you what I called my “Magic Wand” question and that is, if I gave you a magic wand and I told you you could change one thing about Japan, anything at all – the education system, the legal system, the way people think about risk, anything at all to make it better for startups in Japan, what would you change? Kyohi: I would say to be noncritical or less critical because I was born in Tokyo, so I know people are talking in small volume in trains because they are scared somebody might be critical about your volume, or if you have eccentric idea, maybe you feel some people might be critical about that, or if you are singing in the street, maybe people can be critical or unhappy about that. It can be said, all the people in Japan are feeling a little bit more optimistic and a little bit more noncritical. I think things will change in more better way. Tim: So you think if people were less critical, it’s easier for artists and entrepreneurs, and everyone, really, to take new risks and try new things? Kyohi: Yes, that would happen, and increasing innovation, but of course, being critical is important but not all the time. Kyohi: Yes, Indeed. I think that’s very important. Tim: Do you think that’s changing in Japan? Kyohi: I think so. Japan is becoming diverse, like I read on some article, it says in Shinjuku area and in Tokyo, ⅛ born is non-Japanese. So it’s a very high number in Japan, so it’s becoming diverse city, Tokyo, and also, other area too, and Kyoto too, and different thoughts and different people from different countries may make a little noncritical. Tim: Just because it would make people have a little more open-mind and have new experiences? Kyohi: Yes, and also so that Japanese can think there are people with other thought, just to see that is important, I guess. Tim: You know, it’s interesting though, because I think you’re right. Japanese people are extremely critical compared to just about anywhere else in the world, but I think there’s a difference because it also can be an advantage. When you are critical of yourself and your desire to succeed and build a beautiful product, that’s a really powerful thing, but maybe we just need to be less critical of other people. Kyohi: Right, exactly. It’s very difficult for me too, but yeah, that sounds perfect. Tim: Yeah. Alright, listen, thanks so much for sitting down with me. Kyohi: Thank you so much. Tim: I really appreciated it. 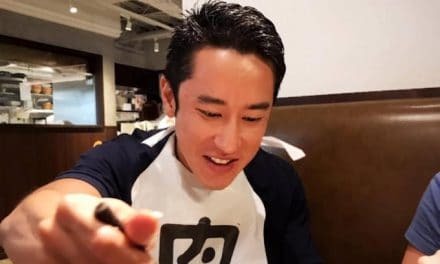 I loved Kyohi’s thoughts on and his experience with criticism in Japan. This criticism and this sense of public shame is really something that both holds people back in Japan and also propels them to truly fantastic levels of achievement, but Kyohi’s right that there is this tendency to criticize others’ work and this fear of being criticized that often prevents startups from releasing products and getting user feedback as quickly as they should, but that same instinct can lead to a desire for perfection that has made Japan the world leader in cars and cameras, and so many other things. However, there’s a subtlety here that we really need to look at more closely. 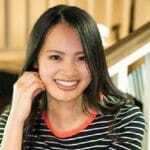 Many people point out that Japanese startups are too slow to release their initial products and prototypes, and that they should get user feedback sooner rather than spending time polishing a product that might not be what the customer wants. There’s a lot of truth in that but we need to remember that it is the customer and not the startup founder that determines what is a minimum viable product. As a startup, your opinion doesn’t really matter a whole lot here. If you don’t have a client who is willing to use your product, then by definition, it’s not viable, and you need to put some more work into it. Startups in Japan have to spend more time developing their initial product because Japanese businesses and Japanese consumers demand more. I have spent most of my life selling B2B software and I can tell you that American companies are some of the best initial clients you can have and Japanese companies are some of the worst. American firms seem to know what they’re getting into. You’ll usually be able to find a sponsor and a champion in the organization who will work with you and brainstorm with you, and try to come up with ways that you might be able to improve your product to meet the company’s needs and broader industry needs. In Japan, such people do exist but they’re exceedingly rare. 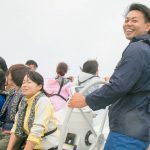 I’ve been fortunate enough to work with one or two, but for the most part, Japanese corporate clients want to interact with startups the same way they do their enterprise vendors. They expect your product to work, to integrate with their workflow, to have comprehensive support and documentation, and they sure as hell don’t think it’s their job to teach you about the industry. The end result is that a minimum viable product in Japan is a lot less minimal than it is in the United States, but you know, this is changing. 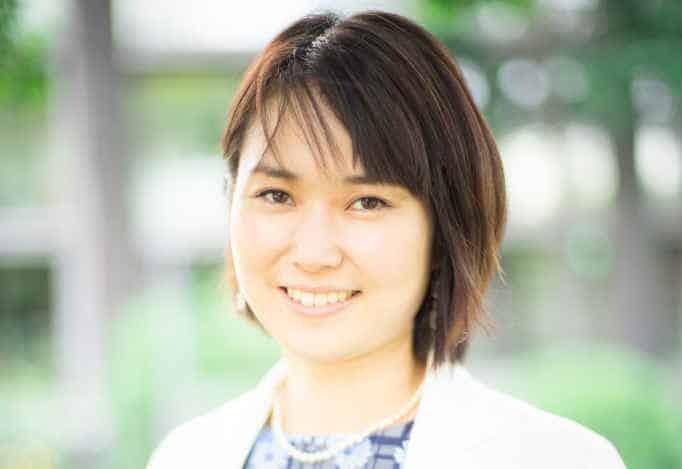 There has been real growth in startup events and enterprise startup matching programs over the past few years and more and more Japanese executives are slowly coming around to the idea and the role of being a mentor and being engaged with the startup team. It’s a slow transition but we are seeing it. In everything from Kickstarter campaigns to enterprise B2B software sales, Japanese customers are being a little more tolerant and a little more understanding of the efforts of creatives and of startups, and that, combined with the Japanese long-term focus on improvement and perfection might just give Japan a unique advantage and a unique place in a competitive startup world. If you have thoughts about windows on the world or how minimal a minimum viable product can really be, Kyohi and I would love to hear from you, so come by disruptingjapan.com/show115 and tell us about it, and when you come by the site, you’ll see all the links and notes that Kyohi and I had talked about and much, much more in the resources section of the post. And hey, by the way, please feel free to get in touch and connect with disrupting Japan on Twitter and Facebook, and even drop by our LinkedIn group. A quick search for Disrupting Japan on any of those platforms will take you right to us. I’d love to hear from you and we have a lot more information about Japan on the social media sites and on our website as well.